For breakfast, dress is resort casual, please. For Sunday Brunch, dress is daytime resortwear. We ask that you refrain from wearing torn denim, tank tops, T-shirts, sweat suits or hats. Reservations are recommended for Sunday Brunch. Complimentary valet parking is provided at the main entrance to The Breakers. Enjoy the delightful sounds of a live harpist. 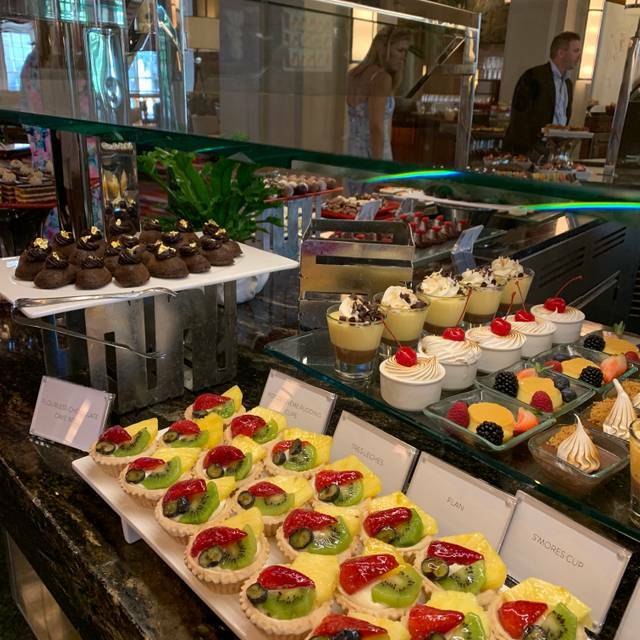 Each morning, enjoy The Circle’s elaborate, artfully crafted buffet of hot and cold selections—from fresh fruit and pastries to crepes and omelets made to order. In addition to our extensive buffet, you can always order à la carte from our menu of traditional favorites. And at week’s end, dress up for our spectacular Sunday Brunch, a culinary experience that simply can’t be missed. No better way to celebrate your birthday with family and friends. It was wonderful, delicious and special as always!! We didnt feel that the quality of the food was worth the price. Excellent service Alex and Raza the servers were perfect , helpful , friendly, good energy, a credit to the Breakers. A truly wonderful time. Totally enjoyed the brunch. As usual, the service was impeccable and food was excellent. This is our yearly visit before we head back North. A wonderful experience each and every time. Two thumbs up!! Amazing. Worth everything! Will go back in a heartbeat! It is a special occasion dining experience. The food is Devine and the service spectacle set in an elegant hotel. Excellent!Some of the Best food and most beautiful people in all of South Florida ! 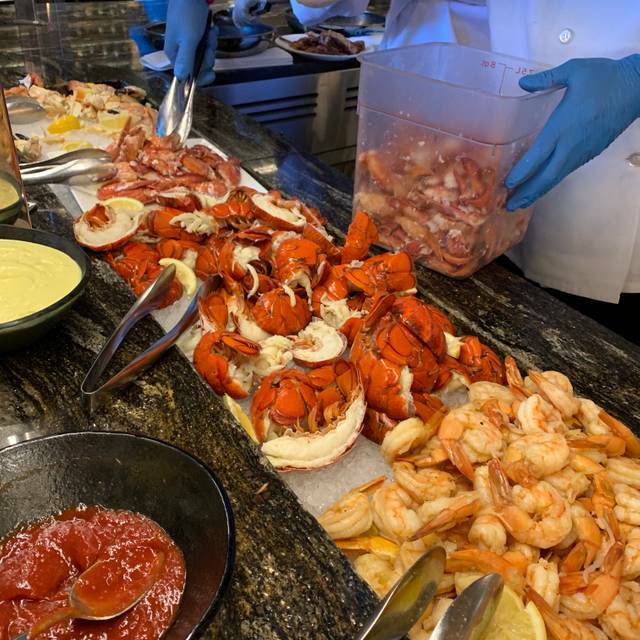 The Sunday brunch at the Breakers is nothing short of amazing! The selection and quality are unsurpassed. Mimosa to start. 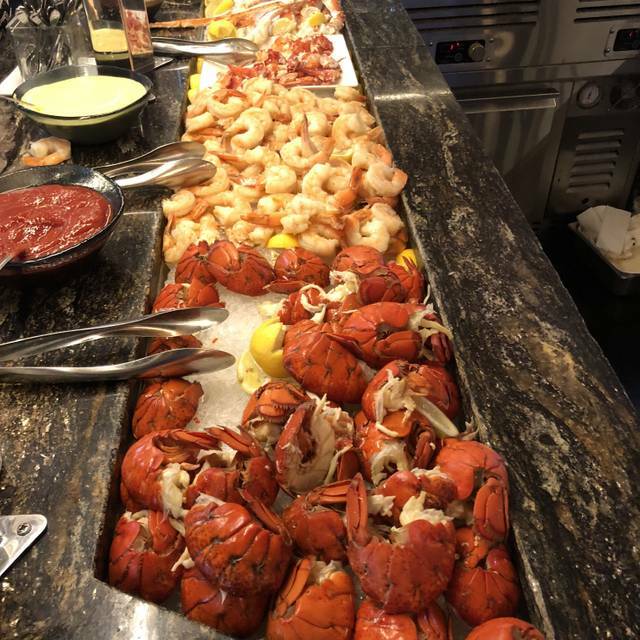 Caviar, sushi, lobster, prime rib, crab, omelets; you want it, it is there. Great selection! Oh, the pasties were wonderful. The Circle dining room is a feast to the eyes as well. Simply the best! 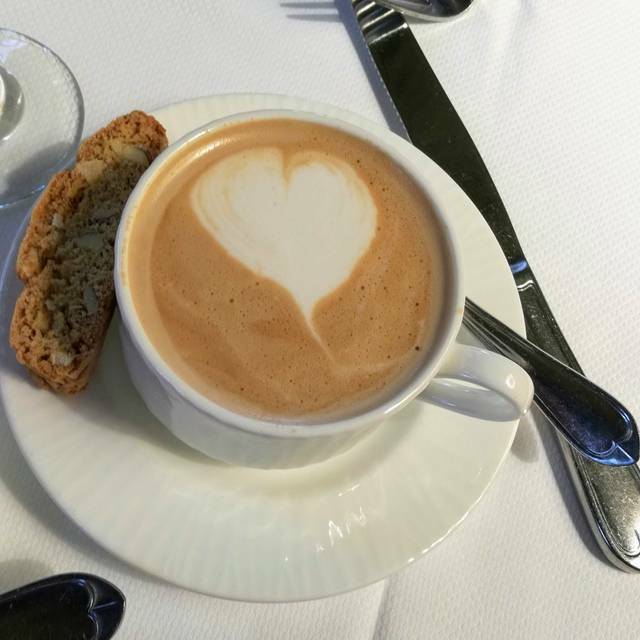 Always beyond your expectations, both regarding food, atmosphere and service! Impressive room with spectacular chandelier, champagne bottles opening every other minute, live harp playing happy birthday. That’s the best seafood selection around . Fresh and delicious . Beset brunch I have ever been to. Love the caviar and fresh Maine lobster! As usual the Breakers Brunch was spectacular! We didn’t feel rushed and after 2-1/2 hours of talking and eating we were satisfied, as usual, for our annual trek there. It’s worth the price! Such an amazing experience! The food was amazing and the service was exceptional. 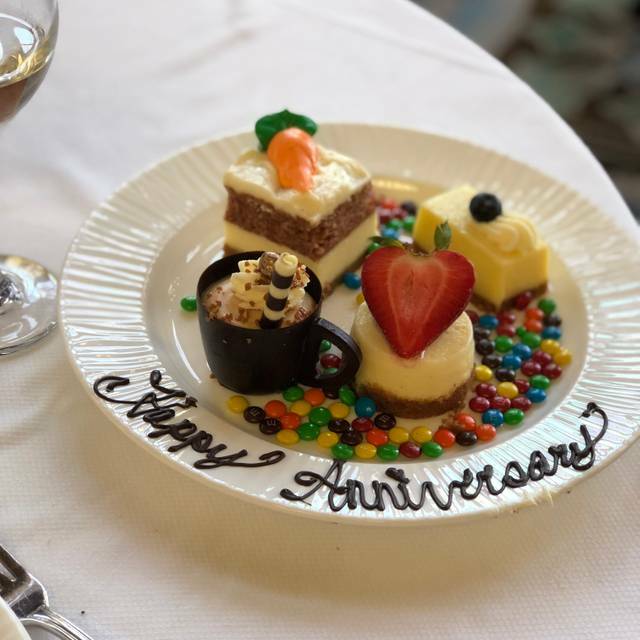 My husband and I were celebrating our anniversary and the staff’s attention to detail made it really special. We will absolutely come back for Sunday Brunch. This is the best brunch that I have been to in years and is so much better than the Miami Biltmore brunch. Service is to notch and the food selection is incredible. The pricing is steep but they leave nothing is left to be desired. Well worth the trip and great value for the price. I will be back and I will bring friends. We go once s year to your incredible brunch. There is no where else that we have experience the feast of delicious food and service. We shall be coming back again next year as we have for the last ten years. Please don’t change a thing. This place exceeded our expectations! We came to celebrate my moms 60th birthday! Everything was excellent! Beautiful place, food & ambiance! Definitely will come back! Exceptional Sunday brunch. Expensive but worth it. We come for brunch several times a year and, as always, this was a delightful experience. We brought two friends from out of town and they were completely bowled over. Many of the buffet items were cold. Although delicious, for the price I think it is reasonable to expect the eggs and other hot food items be served at least warm. The table service was fantastic and attentive, refilling drinks ASAP. However, we did have to wait about 25 mins before we could be seated for our 1:30 pm reservation. Such an elegant dining experience. We thoroughly enjoyed it. 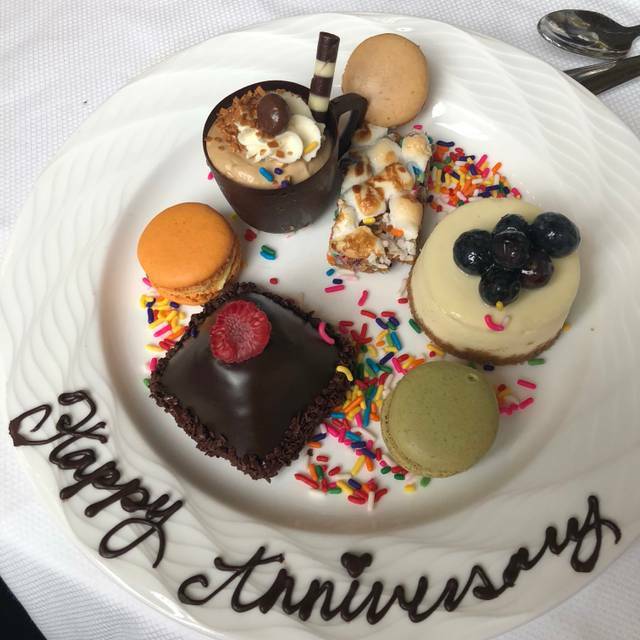 I spent a special birthday enjoying Circle Brunch with my husband, and it was an experience for the senses. So wonderful! 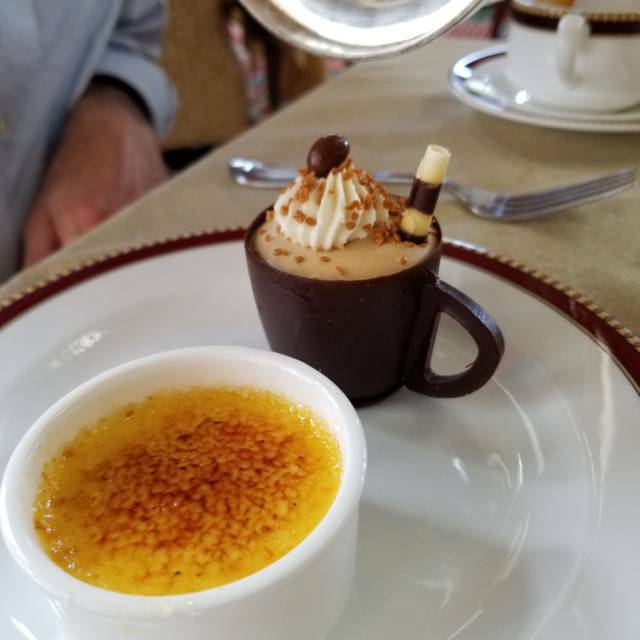 My husband and I went to The Breakers brunch this Sunday to celebrate Valentine’s Day. They offer a wide variety of food, great quality and the service is outstanding. After brunch we walk around this beautiful place, a d it was so relaxing. We had an awesome experience!! I highly recommend it and I can’t wait to go back for another celebration!! The reservation experience was “unique”. We reserved via Open Door, 6-8 weeks ahead of our visit. We received MULTIPLE calls asking us to confirm the reservation. I responded to the last one, leaving a msg that I wanted to confirm the reservation we had already re-confirmed TWICE. 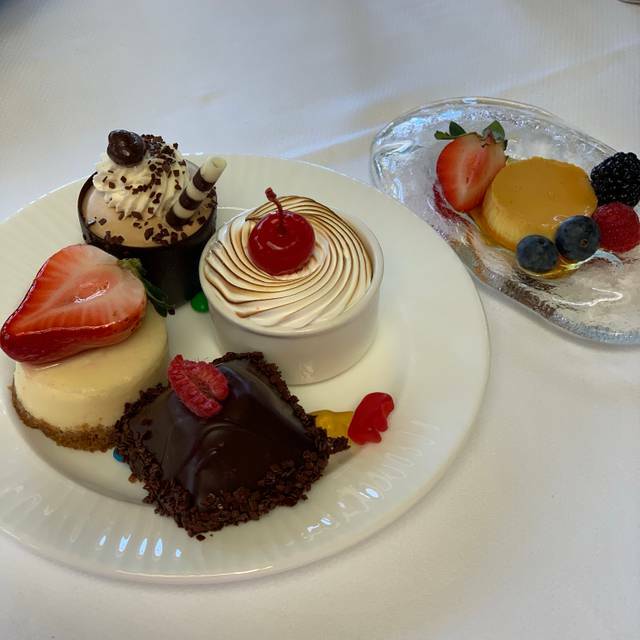 While the ambiance at The Breakers Circle Restaurant is not to be missed, the food (desserts aside) was not as spectacular as we had expected. Two caviars (the red wasn’t an expensive one) and raw and smoked oysters weren’t as spectacular as I’d envisioned. The lamb chops were rather ordinary (thin). Service was good; Yolanda was personable and fast to respond to/anticipate our service needs. The desserts and crepes and “sweets” were spectacular, but we expected more on the protein side. It was a bucket list item to come to brunch at the Breakers. 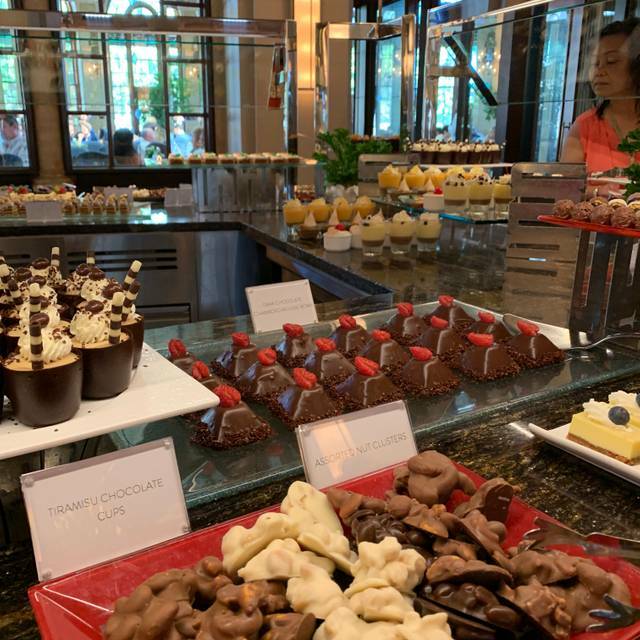 Unfortunately, for $150/pp (includes tax and the 20% gratuity), and an “all you can eat buffet”, we aren’t likely to return. The grounds are stunning and we enjoyed the afternoon. Delicious brunch in a beautiful venue. It exceeded our expectations. The harpist was a nice touch. Very classy. The best Sunday brunch in town. Beyond outstanding. Certainly one of the best ways to mark an occasion. Everything about it was outstanding. The Circle Brunch was phenomenal. The food was delicious with everything from lobster, to omelettes. The service is polite and professional. I would highly recommend this event for a special occasion. We had a memorable experience. Best Brunch ever! I remember a similar one at Coronado Hotel, 25 years ago, but I was there 5 years ago and not the same. Ambience and service are perfect, and quality and choices of food are worth the price. We will be back soon!